This week I was in Newcastle for a workshop, a place that I have only driven through once. 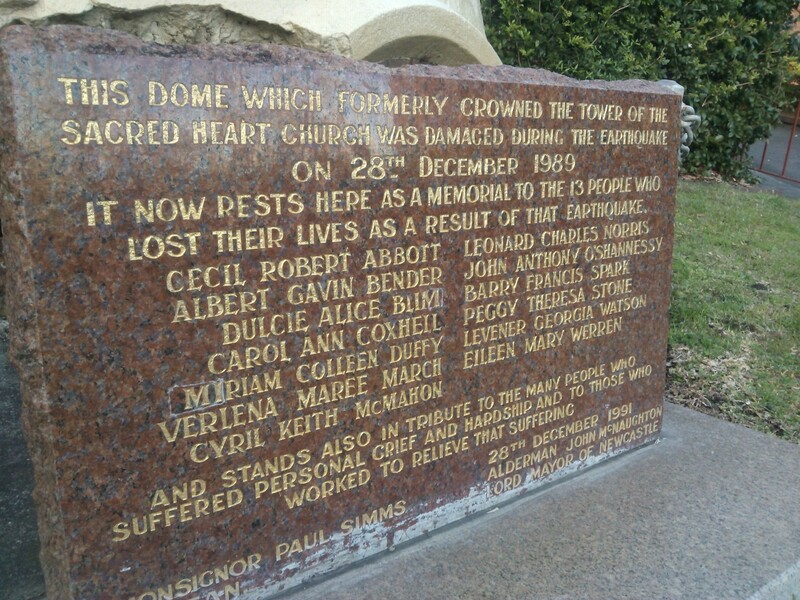 Although I feel I know it, because the 1989 earthquake was used quite extensively in teaching at Mt Macedon. The Newcastle Earthquake measured 5.6 on the Richter scale, killing 13 people and injuring 160. 35,000 homes were damaged,and a further 300 commerical buildings. The total damages were around $4billion. 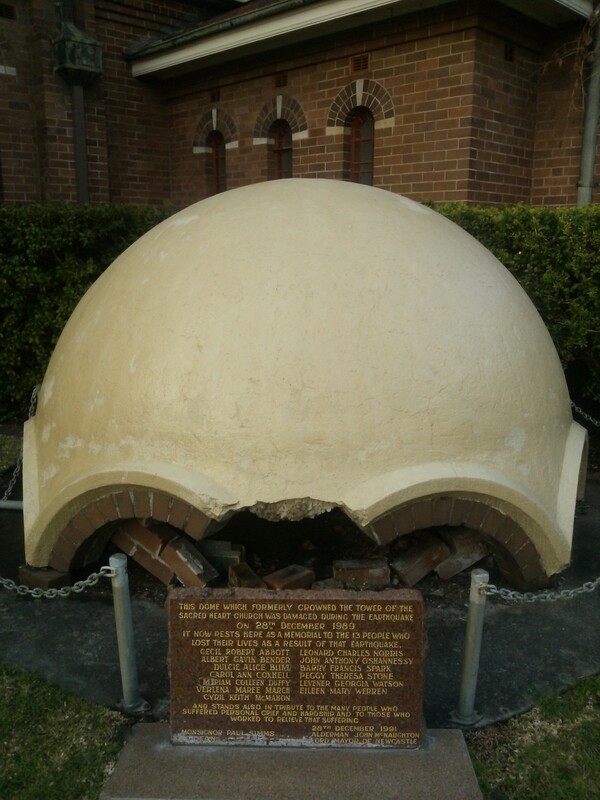 It was a significant event in Australian history, and particualrly for emeregncy management. It shook us out of a complacency, that earthquakes happen somewhere else. The earthquake capped off a decade and a half of significant events, Cyclone Tracy, Granville Train Disaster, Ash Wednesday, Tasman Bridge Collapse, when it seemed that disasters were on the increase, and becoming more complex. By comparison, the 90s seemed relatively calm. Silverchair wrote the song Faultline, about a friend of the singer, Daniel Johns, who died in the quake. It’s an interesting place, straddling that industrial urban decay, with a bit of student hipster feel to it. Unfortunately, I came down with a cold, so wasn’t able to get out much. I did, though, get out and have a look at the earthquake memorial, which was not far from where I was staying. A modest affair, a piece of the spire of the cathedral that collapsed in the earthquake. The memorial commemorates those that died, as well as those affected and those invovled in the rescue and recovery. 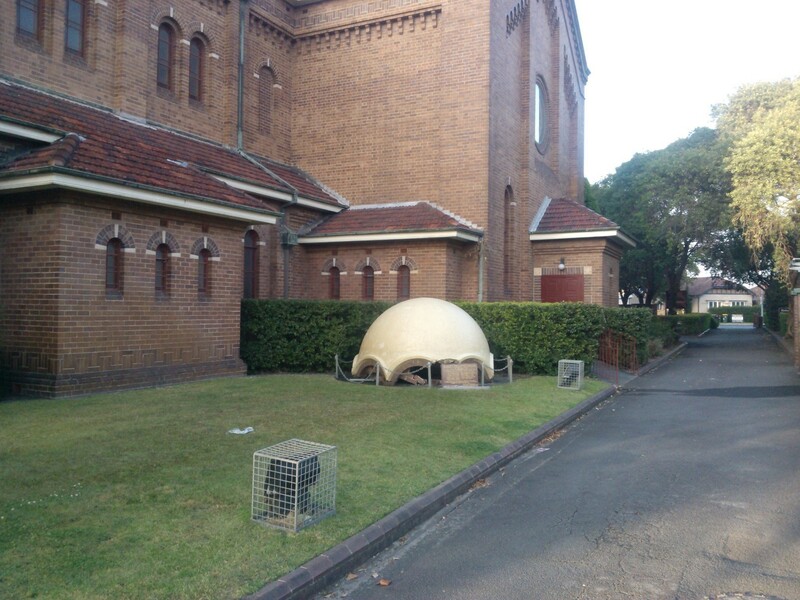 IT was tucked away around the side of the cathedral, and I’d have to say, it felt a little bit lonely and unloved. What surprised me was how earthquakes don’t seem to figure on the radar in Newcastle. When I have been in New Zealand, staying in hotels, there is always EQ information hanging behind the doors. In my hotel in Newcastle, there was nothing. In the workshop I was in, the predominant risks that people spoke about were storms, floods and fire. Nothing about earthquakes. It took a while to draw it out of the group. It left me wondering why these things recede from memory and don’t become part of the folklore or community wisdom. To which, i don’t have an answer, but I think it is important for us to understand, because we nkow that experience of a disaster is one of the motivators for people to prepare. Anyway, in my quest to find the NEwcastle EQ memorial, I came across this amazing database, buried on the local council website. It is a repository of a wealth of documents, waiting for someone to have a look, and learn.